You may have heard benefits of the sunscreen, but haven’t got in the habit of adding it to your daily skin care program. We prepared some top reasons, why you should make the sunscreen part of your daily skin care routine. Skin cancer is one of the most preventable types of cancer. About 90 % of non-melanoma skin cancers are associated with exposure to UV radiation from the sun. You can cut the risk up to 50 % by trying not to get a sunburn and remembering to apply SPF 15 or higher sunscreen before going outside. NOTE: When shopping for sunscreen, look for The Skin Cancer Foundation’s Seal of Recommendation, which is awarded to sun protective products that meet stringent criteria for safety and effectiveness. Sunscreen keeps your skin looking young while preventing the face from ultraviolet exposure. The unprotected exposure can lead to premature skin aging, wrinkling, and discoloration. That way if you’re looking for an anti-aging product, the first you need to pay attention on is the SPF, which should be no lower than 30+. 3. 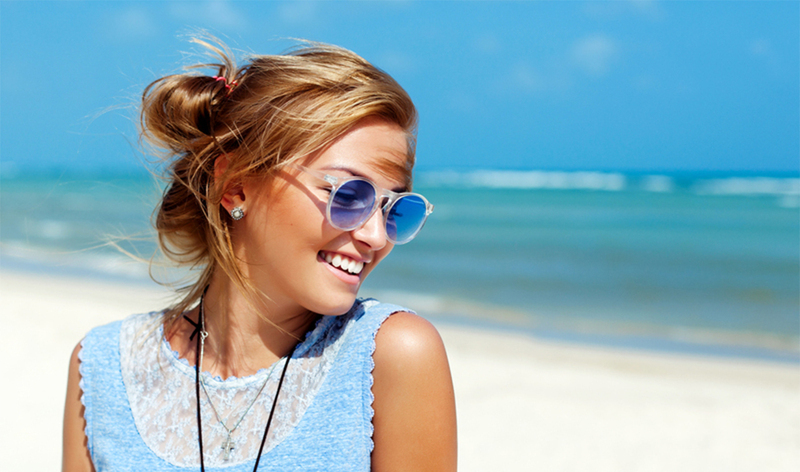 Sunscreen helps to prevent brown spots, facial red veins and blotchiness. The signs of aging are not the only results of the ultraviolet exposure. Such unwanted signs such as skin redness, spider veins and even acne an allergy can also be caused by sun over-exposure. 4. Sunscreen makes the skin healthier. The sunscreen often contains ingredients that protect the essential skin proteins (collagen, elastin, keratin). If your skin is dry or sensitive, make sure you reapply a coating every now and then for better safety and freshness of your skin. While choosing your sunscreen make sure it contains following ingredients: titanium dioxide and zinc oxide. 5. Sunscreen can be used as makeup. BB and CC creams, foundations and powder, lip tints and lip balms and this is only the beginning of the big variety of makeup products containing SPF that can be obtained today. If you are still forgetting your sunscreen cream under your foundation, pay attention to the additional protection of your skin with your makeup products. Starting with December, 1 we are happy to offer a collection of MDSolarSciences sunscreen in our studio and online shop. Ask your esthetician for more information and the type of sunscreen that best suits your skin.